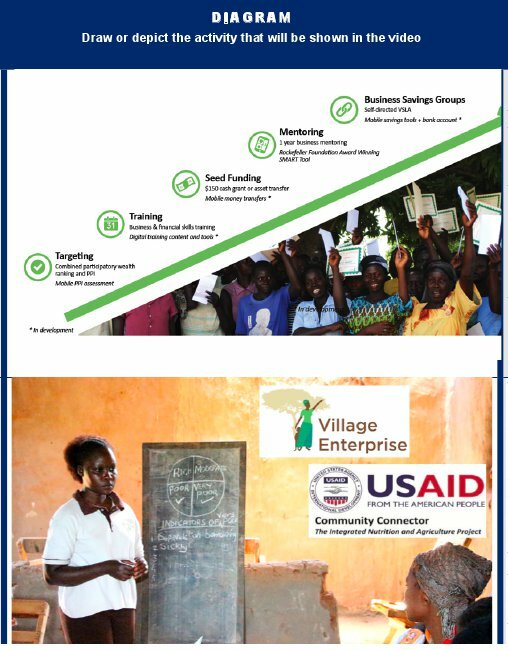 In Village Enterprise's first year implementing USAID Community Connector, the project recognized that youth were an excluded demographic across activities. Recognizing the project's flexibility and eagerness to understand its communities, FHI 360 funded a study focused on researching the preferences and habits of rural youth. Due to the success of the study, FHI 360 asked Village Enterprise to adapt programming based on the findings of the youth study. This video storyboard illustrating CLA in action was submitted as part of USAID's CLA Case Competition, held in August 2015. A winning storyboard was selected to be produced into a formal video with assistance from the USAID LEARN project. This submission is part of a collection of examples that illustrate the diversity of ways collaborating, learning, and adapting approaches are being operationalized in the field. To view more CLA examples like this one, visit the CLA Case Competition page.